You can find Innuaâ€™s wide range of products being utilized in many different industries. Our experienced sales team will work with you to select suitable materials to satisfy your business and chemical needs. Innua Logistics team are dedicated to arranging worldwide shipping. INNUA is your trusted supplier of plastic and petrochemical additives. 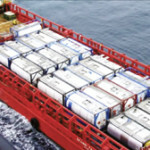 Handling dry freight as well as bulk liquid, non-hazardous or dangerous goods, shipping by ocean, air or truck, we have the experience to meet the customer’s needs. Whether shipping in accordance with Letter of Credit requirements, or arranging customs clearance and door delivery on a DDP sale, our experienced team maintains a keen eye to detail so that all parties involved are guaranteed satisfaction.